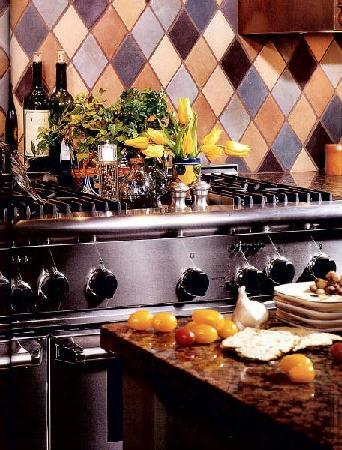 How effective this backsplash is using simple diamond shaped field tiles in a mix of warm colors. 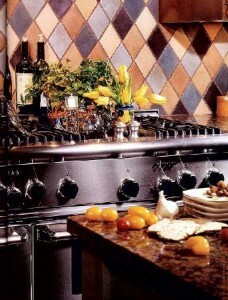 Copyright 2009 Gothic Tile, All Rights Reserved. For more information feel free to contact us.